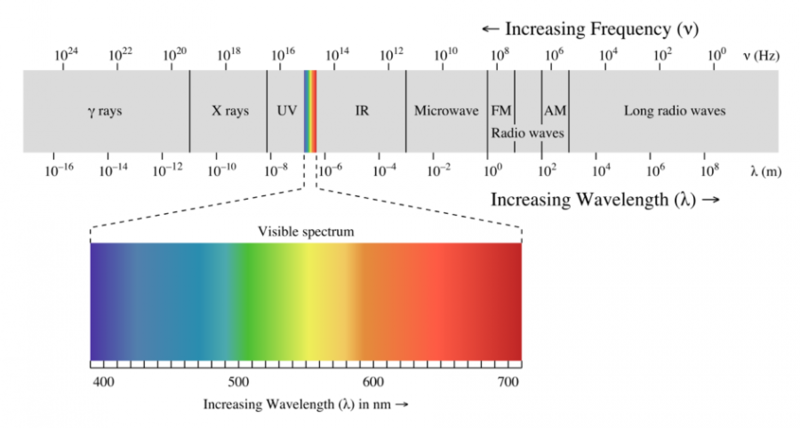 What do colors, x-rays, UV rays, microwaves and radio waves all have in common? They are all part of the electromagnetic spectrum. While some parts of this spectrum must be translated by machinery in order to make them visible or audible to humans, color wavelengths are readily visible to us thanks to the complex machinery we harness within our own eyes. On the high end of the color spectrum is purple, while red is the longest wavelength. These two wavelengths, and all of the frequencies in between them are called the visible spectrum, which includes the entire rainbow of colors. How do Eyes Translate Wavelengths? Inside our eyes are three types of cones, and these cones send signals to our brain based on the wavelengths that they perceive. They roughly correspond to three colors: red, green and blue. When certain wavelengths combine, depending on the strength of each, our cones will send signals that correspond to other colors. For instance, if someone were to view red and green light together, the corresponding cones would send signals to the brain that would be interpreted as yellow. Additionally, the human eye also features cells called rods. These rod cells only see in gradients of grey and work in low light. How do Our Brains Interpret Color? In 1878, Ewald Hering, a German physiologist who dedicated his studies to color vision, binocular perception and eye movements, published his four-primary-color wheel that demonstrated how our eyes and brain work in tandem to see color. 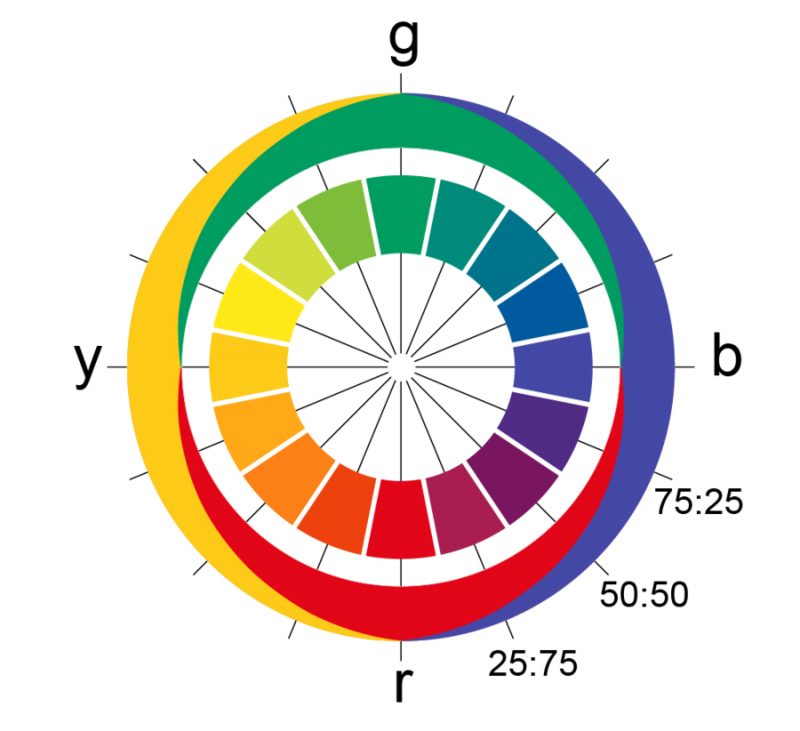 In this visual demonstration of the process of interpreting color, Hering illustrated how all colors arise from a combination of opponent colors: green or red, blue or yellow and a scale of brightness, which is the outer ring of the color wheel and corresponds to how our rods perceive greyscale and light. This system of color opponency disrupted the traditional views of primary colors as it related to our vision and painted a more accurate picture of how we perceive color.